Venice and the Vogalonga tend to get all the attention. Rightly so. 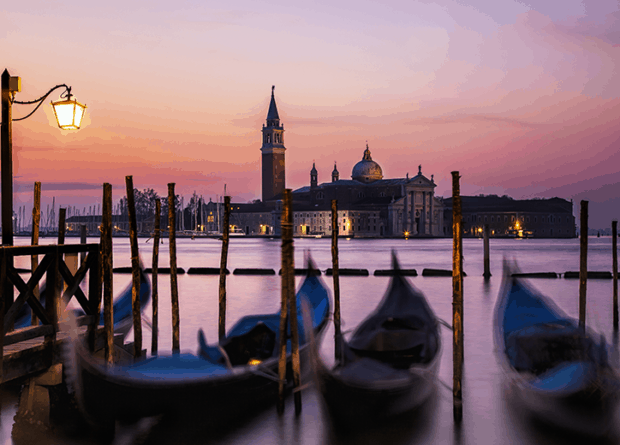 Venice is a spectacular destination, and the Vogalgona is legendary, a bucket list event for rowers. But beyond Venice and the Vogalonga, there is a stunning destination to explore. It has the same magic, and more. Trieste is another famous and fascinating Italian city, separated from Venice by 150 km along the Adriatic Sea coastline. 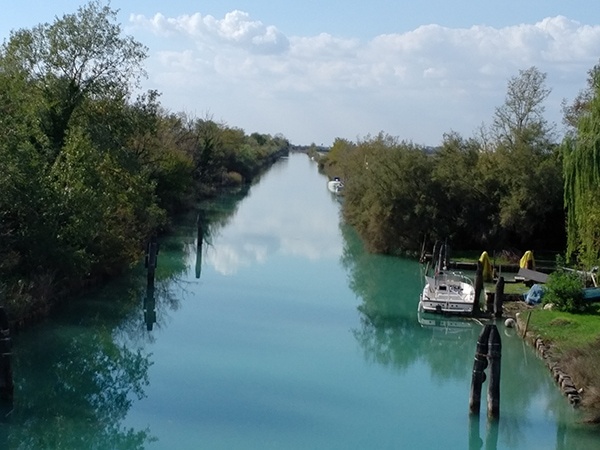 There is also an inner waterway network of lagoons, canals and rivers. Known amongst Europeans for beach resorts, the region also offers charming cities, UNESCO world heritage sites, Roman ruins and surprisingly rich ecosystems. This is what we will explore as we row the Adriatic Sea and Venetian Lagoons. This tour is timed to coincide with Vogalonga 2019! Rowing coastal boats gives us maximum flexibility to experience both the open sea and the inner waterway. The first day of rowing is in the Gulf of Trieste, with spectacular views of the coastline. As we move westward, we will work our way along the Vie Navigabili Litoranea Veneta. We will row across lagoons marked by three-legged beacons, along rivers and down canals. 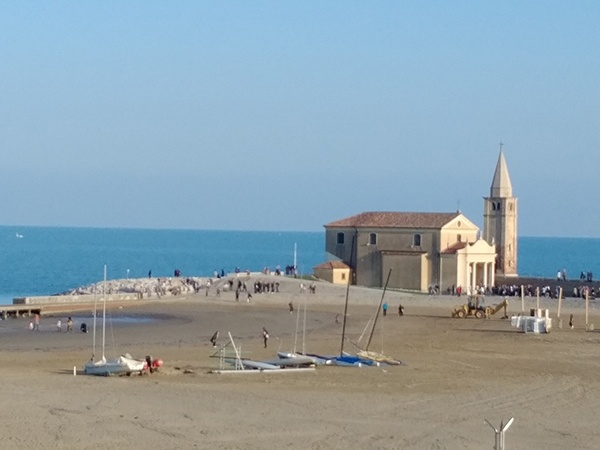 Sometimes we will pop back onto the Adriatic Sea to enjoy great views of the coastline or to land on sandy beaches. Our final row takes us to the Lido of Venice. Rowing does not get much more spectacular than this. The light is dramatic and an essential element of this remarkable landscape. When it is clear, the Alps of Italy, Austria and Slovenia feel close enough to touch. More often, we will row through the hazy half-light for which painters adore Venice. 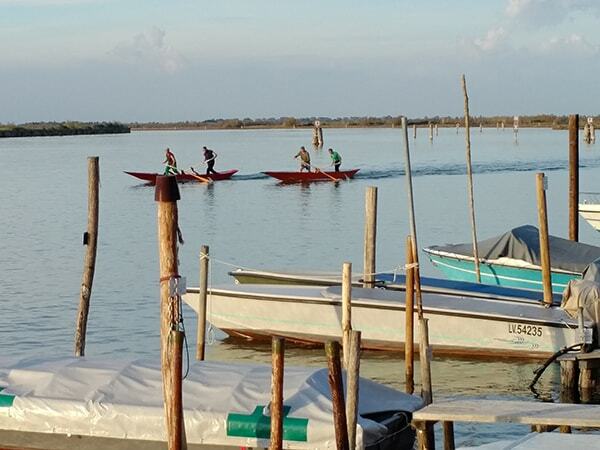 We will row past beach resorts, and through quintessentially Italian towns with a rich history connected to the city state of Venice and also the Habsburg Empire. At times we will feel remarkably remote as we row past marshes and reeds, serenaded by songbirds. View our Trip diary from the 2018 tour! Fully independent non-rowers are welcome on this trip. Please contact us to discuss details. Guide services and tour support including local transportation. Guided by Ruth Marr, Catriona Cameron and Luigi Manzo. We recommend that you come a few days in advance and spend the time exploring Trieste. At the farthest eastern end of Italy, this magnificent city blends Austrian influences with the Italian, along with elements from the immediate neighbours of Slovenia and Croatia. Weather and tides may mean that the itinerary must be modified from what is indicated here. Safety is a priority. 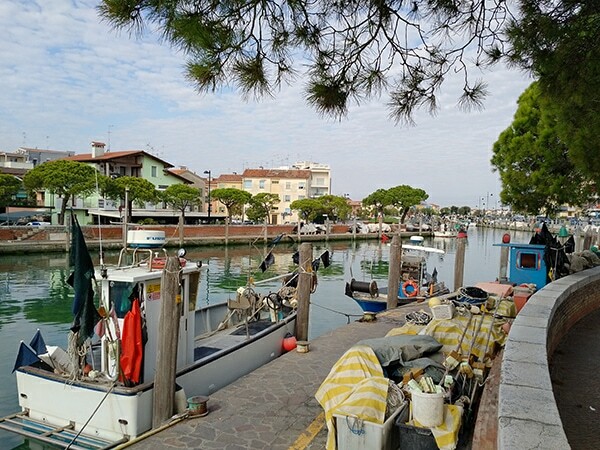 Arrival in Grado. We will organize pick-ups from the nearby train station and airport. Settle in for two nights. Explore the town and have your first gelato of the trip, but leave room for our welcome dinner with a briefing for the week ahead. Today is a well-deserved rest day. Have a relaxing morning and take time to explore this charming town. Especially see if you can want to find the beautiful traditional rowing shell moored in the harbour, painted bright colours and rowed in the Vogalonga. 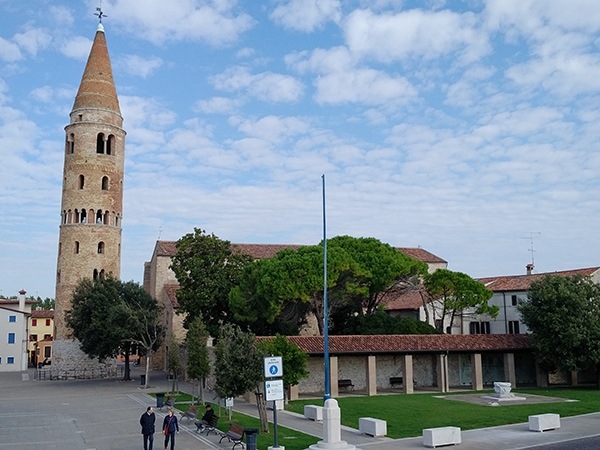 In the afternoon we will enjoy an excursion to fascinating Palmanova, a star shaped town a short drive away. It is a fortress town dating from 1593 and one of the few in the world where the walls and moats remain intact, free of encroaching development. Dinner tonight is on your own – find your new favourite seafood or pizza restaurant. 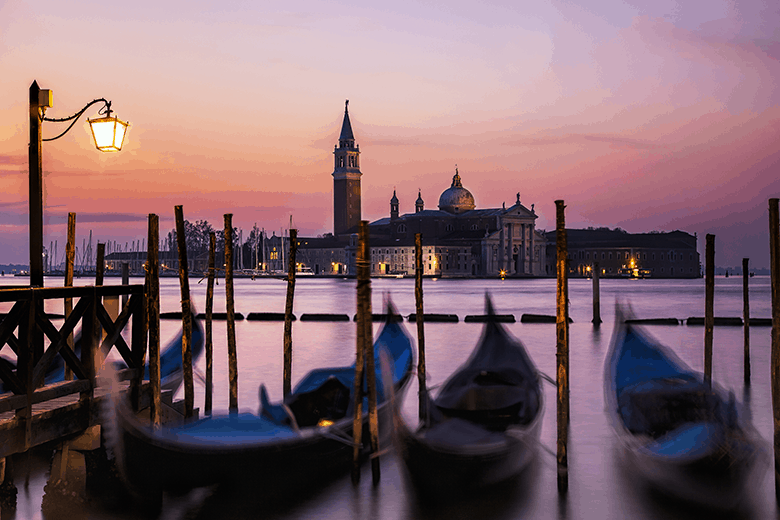 Departure or enjoy a rest day in Venice before the Vogalonga 2019!